According to the Latin Business Index, low inflation and strong economic growth put Peru in second place among other Latin America countries, reports Andina. The Latin Business Index measures the business environments in 18 countries in Latin America by five major factors and 32 subcategories, including the macroeconomic environment, corporate and political situation of each country in terms of globalization and competitiveness, and the level of infrastructure. "The classification is given on the basis of present day Peru and current indicators," the executive director of the Latin Business Chronicle, Joachim Bamru said. According to the website, expectations are that this year Peru will show the highest economic growth in Latin America (7.5 percent) and the lowest inflation rate (2.7 percent). Bamrud said it is possible a major change could occur in the Peruvian scene for the next index if the winner of the runoff election implements policies against a free market, restricting economic and political freedoms as we have seen in other countries. "It will be a shame if it destroys the Peruvian miracle and the great progress that Peru has seen in recent years," he added. 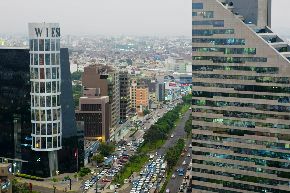 In other indicators of the study, Peru obtained the fourth best corporate environment, which measures factors such as environment and labor taxes, access to capital for entrepreneurs and economic freedom. Peru also has the seventh best political environment, which measures factors like government economic policy, political stability, political freedom, judicial independence, transparency and private property rights. Latin Business Chronicle is part of the Latin Trade, a website specializing in Latin American business.